IT’S been lovely weather, and therefore the kids have been begging even more fervently than usual for ice cream. At our old address, the dulcet tones of the Gallones’ van used to be a regular pain in the bum, as the van would draw up practically outside our house, just before tea, sending the boys into a frenzy of mostly unsuccessful begging. You’d think you’d be safe from pester power while walking across the grassy Racecourse, but no. 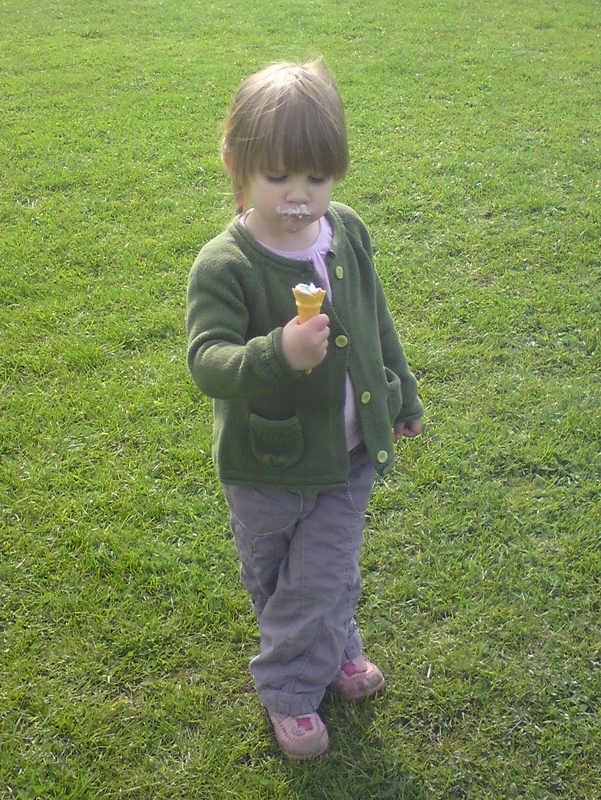 During our latest efforts to coax our cycle-phobic seven-year-old around on his bike, Bonnie, aged three, suddenly took off, running in the direction of an ice-cream van which had emerged bumpily across the field. All concentration on the cycling task was lost. Eldest son Jed begged some cash from his Dad and sprinted after his surprisingly fast sister. Saintly old me, on an eternal (failing) diet, didn’t have one. But when Bonnie has a 99, you’ve got to be quick to make sure it doesn’t all end up down her front. Which may involve Mummy being forced to lick around the edges to stop it dripping. Which of course, is just the moment when glaring strangers walk past, who assume, fatty, that you’ve stolen your whining toddler’s ice-cream. . .